Google has acquired Anvato, the developer of a video software platform, to shore up its cloud offering in the area of video delivery. Anvato’s Media Content Platform, used by many large media and entertainment companies including NBCUniversal, Univision and Fox Sports, will complement the efforts of Google Cloud Platform to offer scalable media processing and workflows in the cloud, Belwadi Srikanth, senior product manager for Google Cloud Platform, wrote in a blog post. The Mountain View, California, company offers software that automates the encoding, editing, publishing and secure distribution of video content across a variety of platforms. 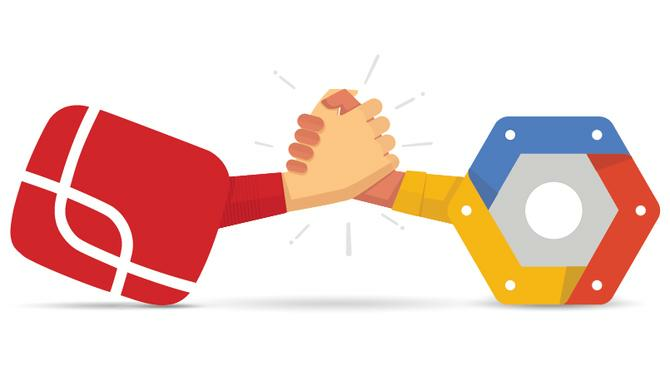 Google Cloud Platform and Anvato teams will work together to deliver cloud technologies that help “businesses in the media and entertainment industry scale their video infrastructure efforts and deliver high-quality, live video and on-demand content to consumers on any device — be it their smartphone, tablet or connected television,” Srikanth wrote. Anvato said it will deliver on the Google Cloud Platform infrastructure the video processing software technology it already offers pay TV operators, programmers, broadcasters and live event producers. Google’s cloud rivals such as Microsoft and Amazon Web Services have also made investments in the area of providing services to companies offering video delivery. AWS has acquired Elemental Technologies, a Portland, Oregon-based provider of technologies for video delivery over the internet. Elemental software helps media and entertainment companies to take live and on-demand video, designed for traditional networks like cable, and reformat it for distribution to PCs, phones and other devices. Microsoft also offers its Azure Media Services for the delivery of broadcast-quality video streaming and video-on-demand to reach users of commonly-used devices. “We are thrilled to bring together Anvato with the scale and power of Google Cloud Platform to provide the industry’s best offering for OTT [over-the-top] and mobile video,” Anvato CEO Alper Turgut said in a blog post Thursday.